2015 saw the biggest area of pulses grown in the UK for many years; pea hectarages increased by 35% from 31kha in 2014 to 42kha in 2015, and the bean area rose by 59%, from 103kha in 2014 to 165kha in 2015. According to the PGRO, the market is getting used to the fact that there has been an increase in supply; trade is adjusting accordingly, and optimism remains for 2016. BEPA has emphasised that prices, market and political issues highlight the need for growers to focus on maximising yield and quality and retaining the quality in storage. However, it must be remembered that pulse crop areas have been recovering from a historic low, are still behind the areas sown 5 years ago and are considerably behind that of 15 years ago, says Milika Buurman, senior pulse breeder at Limagrain UK. The spring bean Fuego launched in 2005 offered growers a bean with a significant yield advantage; at its peak, the variety took 90% of the market and 10 years after its introduction, Fuego remains a popular variety. “Unquestionably, this is due to the variety’s ability to yield season upon season. Even in the difficult pulse harvest of 2012, Fuego only dropped 3% from its top yield. In fact, Fuego’s relative yield trend has been positive for the last 5 years,” she explains. 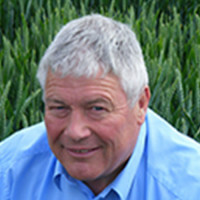 The overwhelming success of these varieties is underpinned by an extensive network of trialling showing that the variation in yield for these varieties is less than average – certainly bucking the trend for a variety to drop in performance over time.